Design on textured paper. 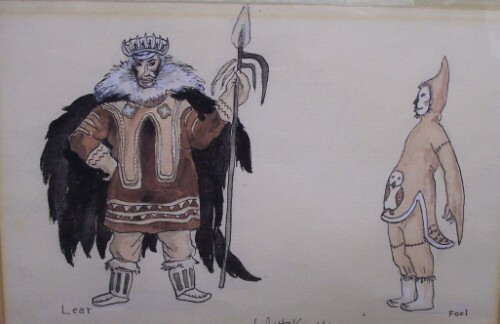 Two individuals, on right proper, labelled “Lear” and on left proper labelled “Fool.” Lear with fur-lined robe, crown and spear. Fool in pink parka featuring the image of an owl. Pink board and black wooden frame.